By some fluke, last week saw the release of not one, but two iOS apps dedicated to communal video streaming. One of them was covered widely on the tech media: Uptime, from Google’s internal incubator program, Area 120. 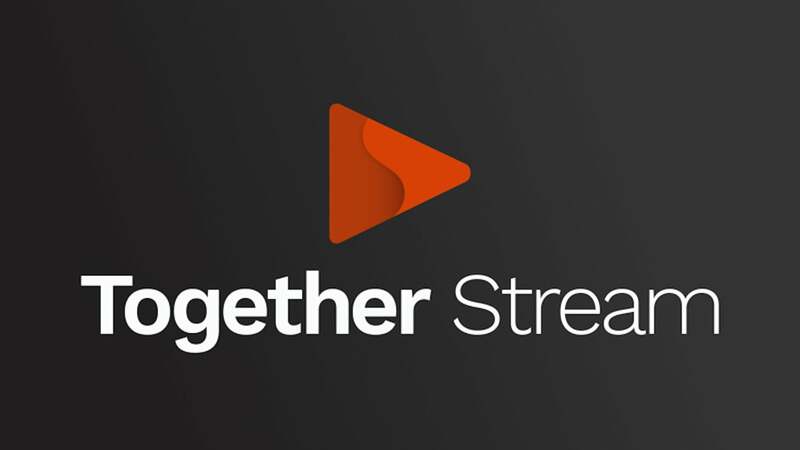 The other, however, barely made a blip on the tech radar, even though it also comes from a big-name tech company: Together Stream, developed by IBM Innovation Lab. And to rectify the apparent omission, this AppAdvice article seeks to answer the question, What is Together Stream? 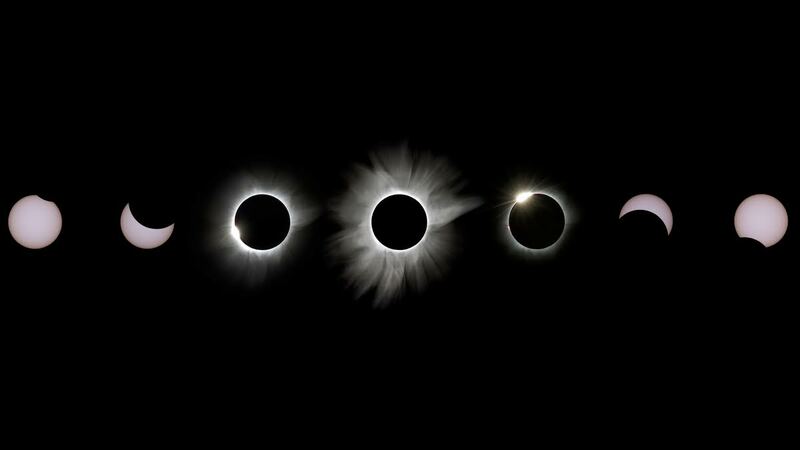 A collaborative and synchronized streaming experience. Stream the content you love, together with others. 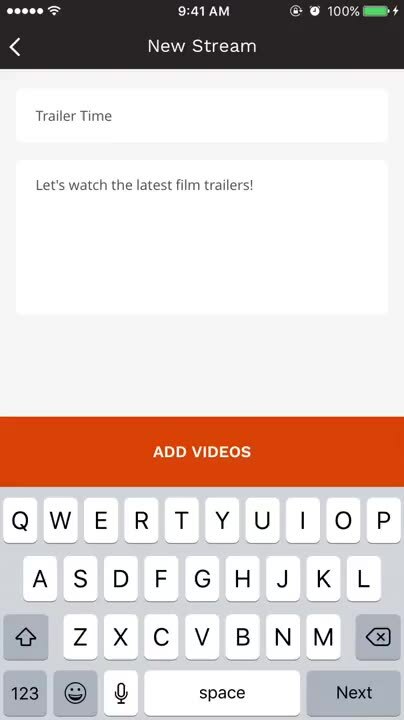 As its name suggests, Together Stream lets users stream videos together with others, such as friends, colleagues, and family members. Think of it as watching the same videos at the same time, except you don’t have to use the same device and you don’t have to be in the same place. After signing in with your Facebook account (that’s the only supported option for now, unfortunately), you can go ahead with your foray into synchronized streaming. Essentially, it’s a matter of adding videos to watch and people to watch them with. Every stream in Together Stream begins with the host. 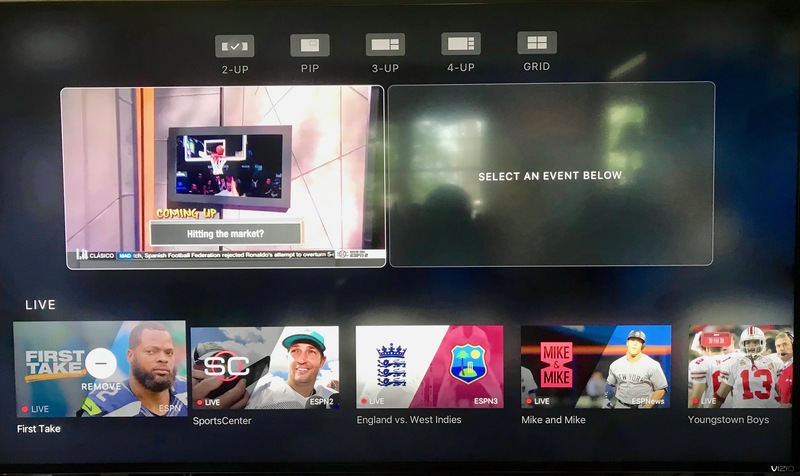 As the host, you get to create the stream, choose the title and description for your stream, add the initial lineup of videos to watch, and invite people to join your viewing party. 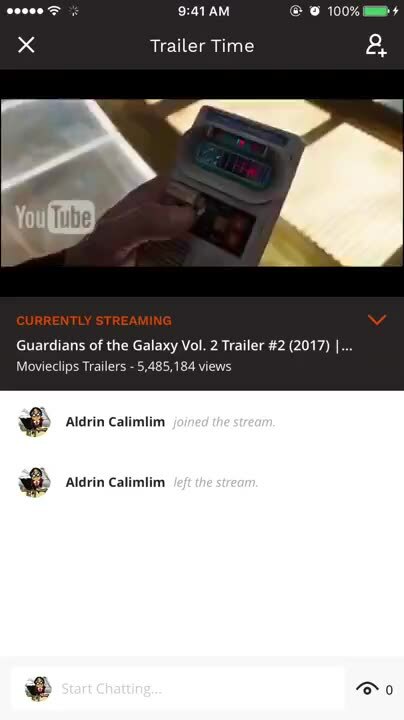 Together Stream integrates with YouTube, and to add videos, you can pick from the currently trending videos or search for particular videos on the service. You can then invite others to watch the videos with you via Facebook, text, or email. Once you’ve rounded up the gang, it’s time to stream your content together. While streaming, all of you can chat about the current video and anyone can suggest something to be added to the queue. However, only the host has full control of the stream — that is, the host and host alone can edit and add to the queue, and can pause or skip a video. In any case, Together Stream keeps the playback synchronized across all participants’ devices, so no one gets ahead and gets left behind. 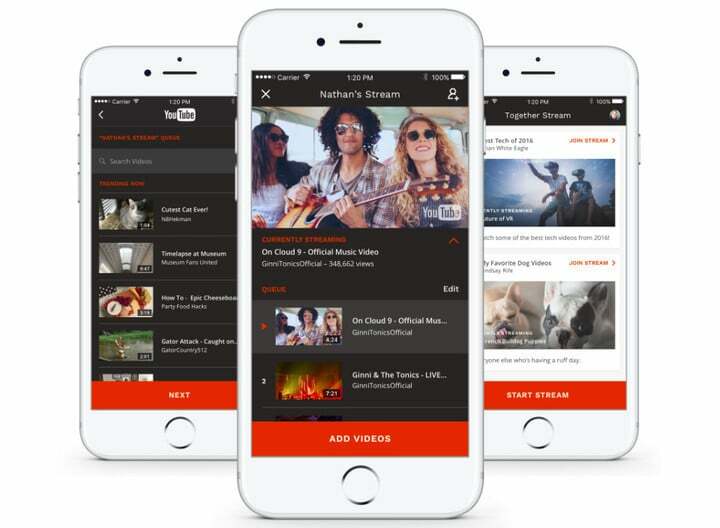 Like Uptime, Together Stream offers a neat solution to communal video streaming. With the app, watching YouTube videos with your friends, coworkers, and family is a cinch, and you don’t even have to be looking at the same screen or be in the same room. Now you can watch viral videos, movie trailers, newscasts, and more together at the same time, wherever you may be. 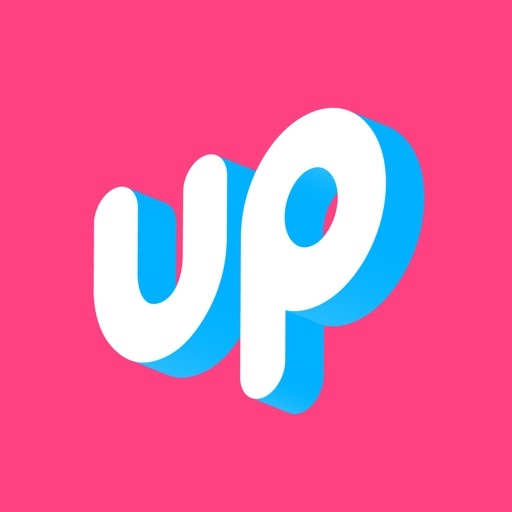 And while it lacks the more “fun” features that have become popular among streaming apps, such as the hearts and reactions in Uptime, Together Stream makes for an effective platform for synchronized video streaming. Optimized for iPhone and iPod touch, Together Stream is available now on the App Store for free. 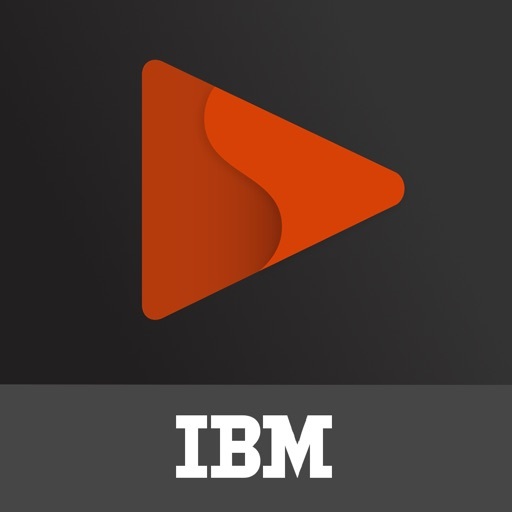 Together Stream is powered by IBM’s Bluemix cloud platform and Contextual Sync continuous data sync service.